IT WAS good to catch up with Seaton Waterfield from Claremont the other day when he dropped into Mood Food, the 24 hour truckstop at Kempton, for a quick bite to eat and a cuppa. 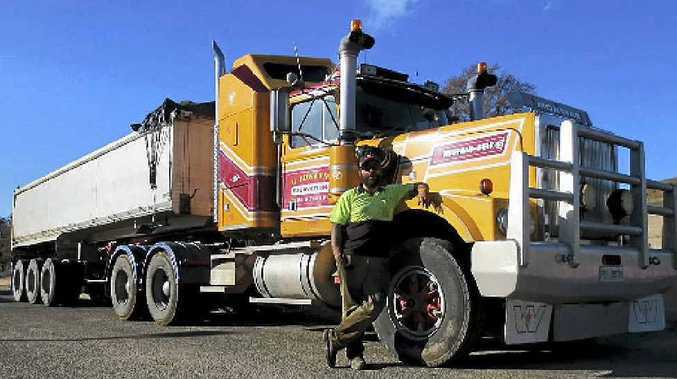 He was driving an Edwards Excavations 1995 Western Star at the time, with a 550 cat up front and a tri-axle tipper on the back, and he was on his way from Mudwalls to Boral at Bridgewater and then back to do it all again. He tells us he has been with the outfit for six years and said you couldn't get a better boss, that it's a great job and keeping him busy. It was a beautiful spring day and he added it was really far too good to be working, and that he would rather prefer to be spending it fishing. Incidentally Mood Food was about to close for a 24 hour makeover and is open for business again, looking brighter and even more welcoming than ever.